Small apartments have their own set of rules when it comes to decorating, and your little pad can feel like a palace or a shoebox based on your choices. From paint color to light sources to storage solutions, we've put together a list of decor ideas that maximize space, minimize clutter, and still let you show off your exquisite taste. 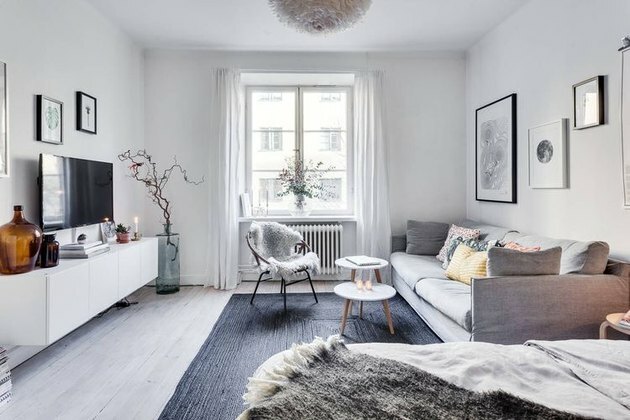 Check out these 14 ways to decorate a small apartment without skimping on style or cramping your space. 1. Make the most of overhead lighting. 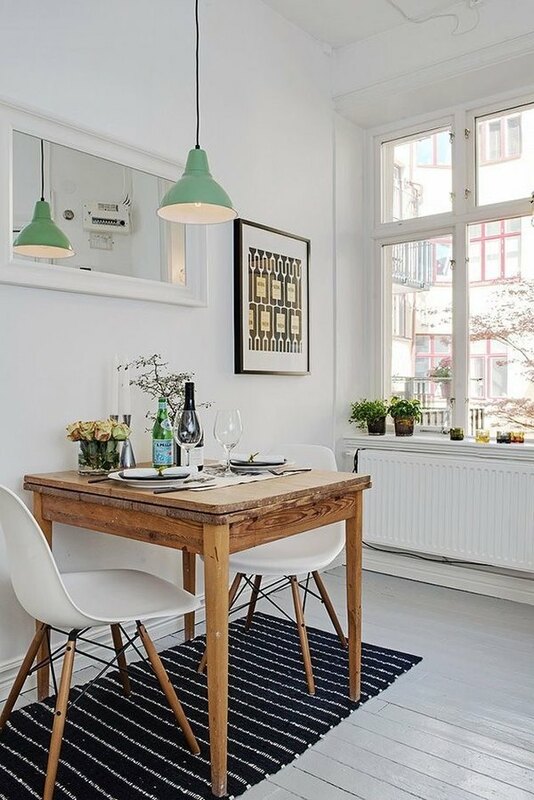 Overhead lighting choices are critical to making a small apartment appear bright, cheerful, and spacious rather than dark, gloomy, and crowded. The lighter in color your light fixture is, the brighter the room will appear, so glass fixtures or bare bulbs (clearly) shine the brightest. 2. Look for furniture with creative storage solutions. Creative storage solutions are all around you if you look for them. 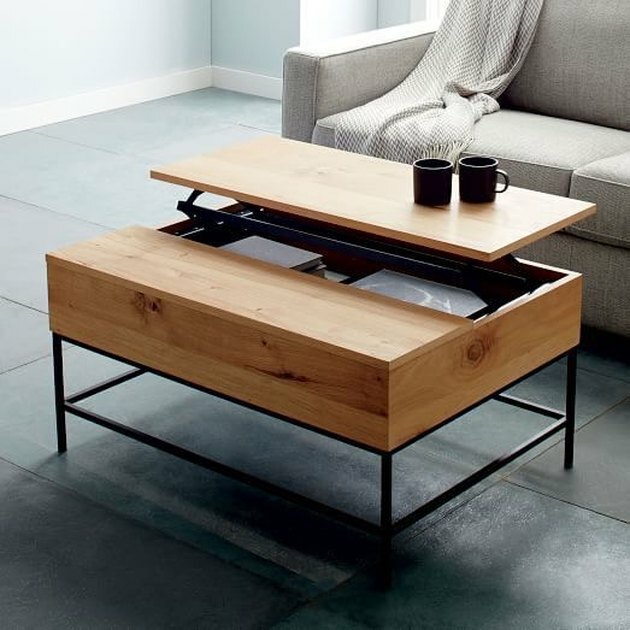 Keep your living room clear of clutter with a lift-top coffee table like this one from West Elm ( $600-$700 ). 3. And don’t forget about under the bed. If there's one thing a small apartment can never have too much of, it's storage space. Go for a multipurpose bed like this one from Design Within Reach, and keep out-of-season clothes, extra linens, and whatever else fits under your bed out of sight. 4. Invest in a rectangular kitchen table. Better yet, make it adjustable! 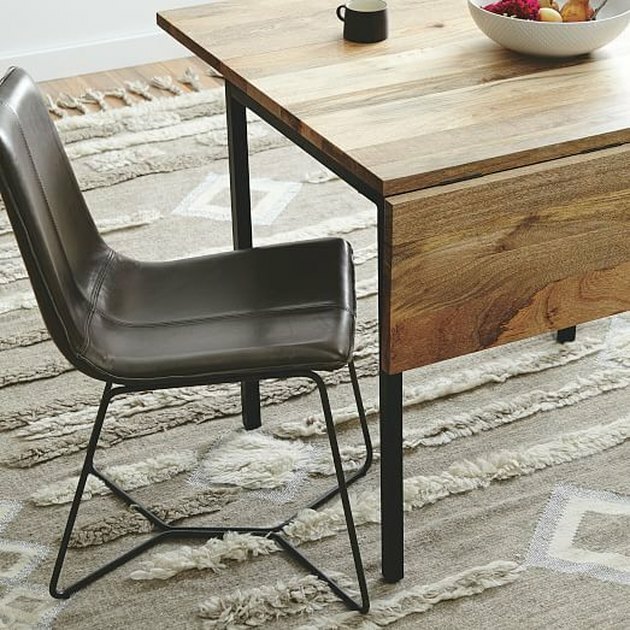 Shape and functionality are big factors in picking out tables for small spaces. 5. Upgrade your trash can. Who says garbage has to be ugly? 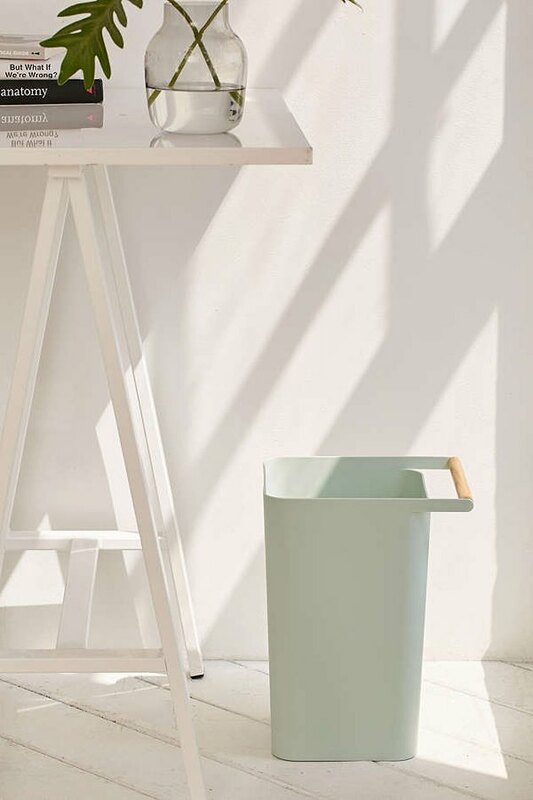 Pick up an aesthetically pleasing trash can like this one from Urban Outfitters ( $24 ) for a detailed touch of decor. 6. Use light, neutral paint colors. Darker colors tend to make spaces feel closer, while lighter colors create a sense of openness. Pick a neutral tone on the lighter side for your wall color to make your small apartment feel bigger. 7. 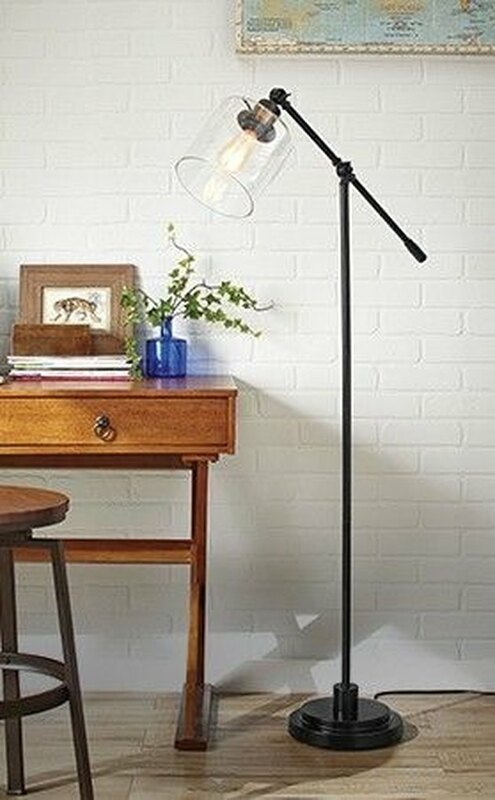 Add even more light with a floor lamp. 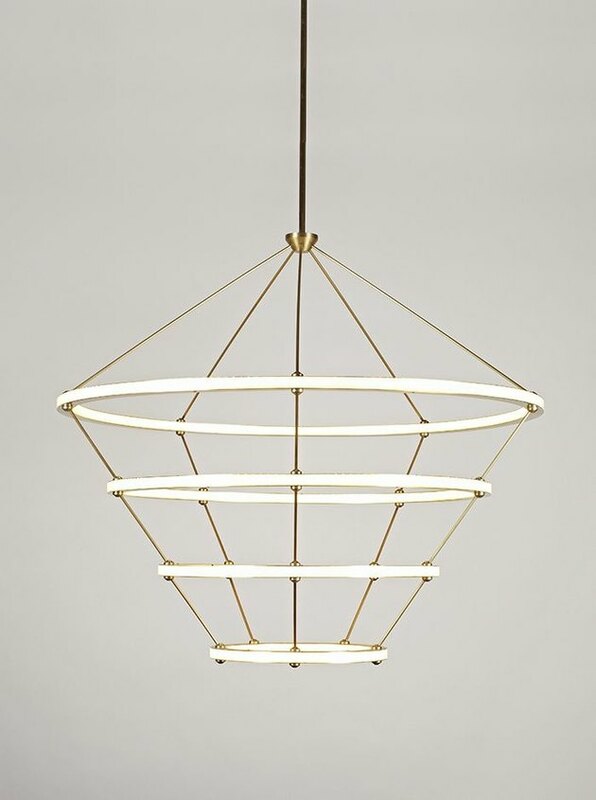 Use multiple sources of light (not just the overhead) in your small apartment. More light, more space, remember? 8. Try vertical gardening to clean the air without sacrificing space. There are myriad ways to go about creating a vertical garden. 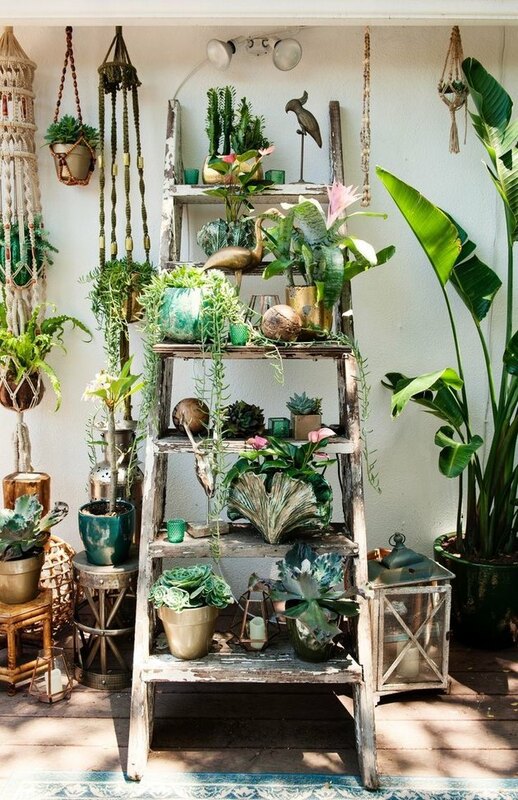 This one is simple (a ladder and some plants are pretty much all you need) and it's a great way to add some life and color to a small apartment. 9. 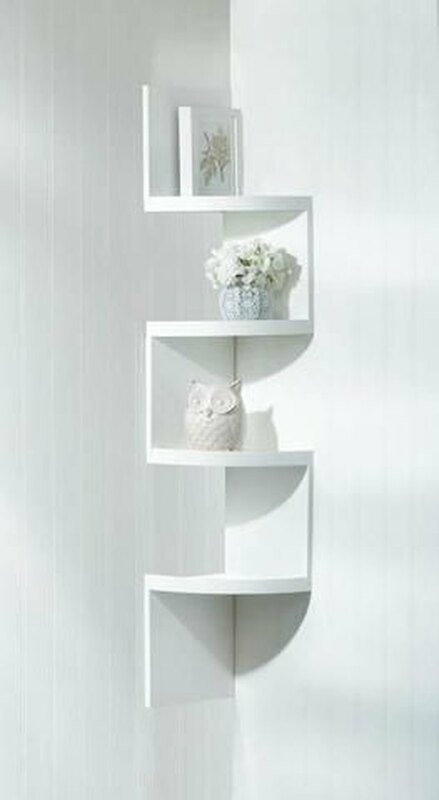 Hang a shelving unit that doubles as wall art. Shelves don't have to be boring. 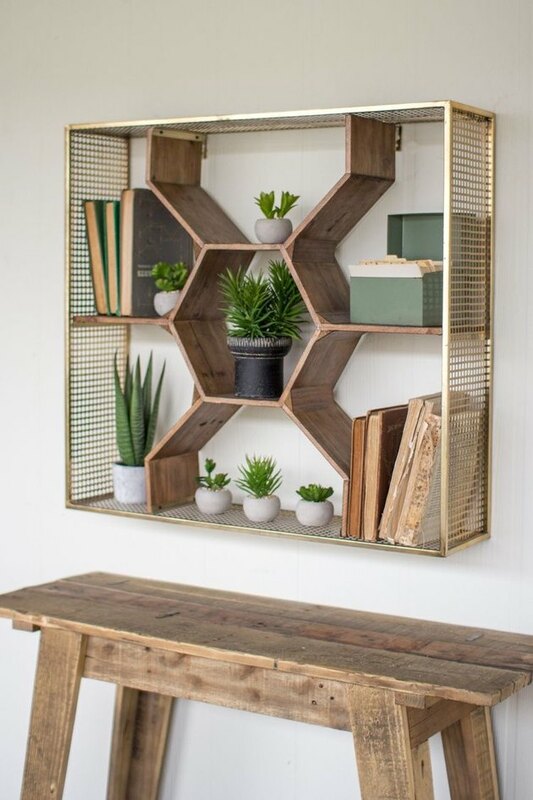 This beehive-inspired shelving unit by Upper Earth ( $238 ) is a work of art on its own. Made of reclaimed wood and antique brass, it has seven compartments for storage. 10. Hang floor-to-ceiling curtains to create the illusion of height. 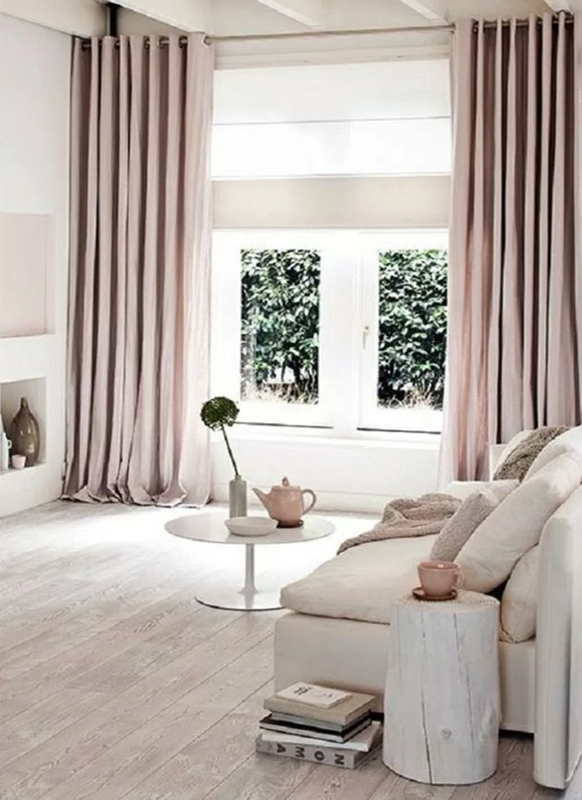 Curtains that flow from the ceiling all the way down to the floor have a lengthening effect on the height of a room. These extra long floor-to-ceiling curtains from the Celeste by Mokum line do the trick of drawing the eye upward, creating the illusion of height. 11. Sleek storage solutions keep kitchens looking neat. 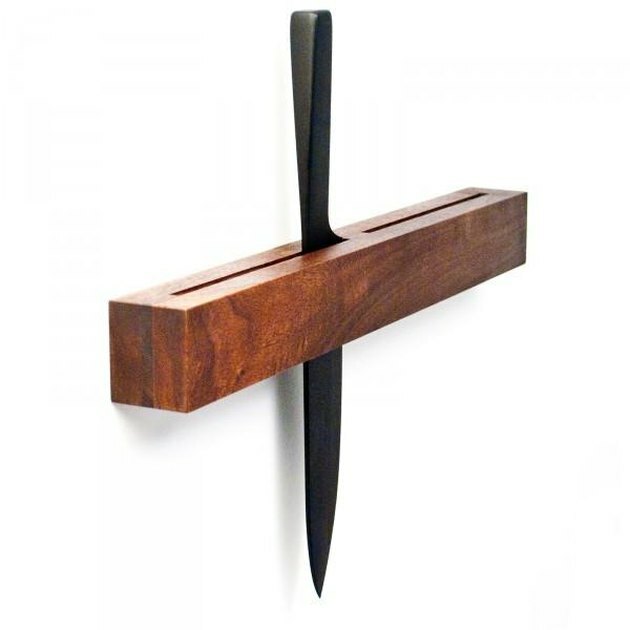 The clean lines of this walnut knife rack from On Our Table ( $99 ) will keep your kitchen looking tidy; at the same time, you'll be freeing up some countertop real estate by getting rid of your knife block. 12. Make rooms seem larger with strategically placed mirrors. The optical illusion created by a well-placed mirror can make a small room appear to be much larger and brighter than it actually is. Angle mirrors towards the room's focal point for added depth and dimension. 13. 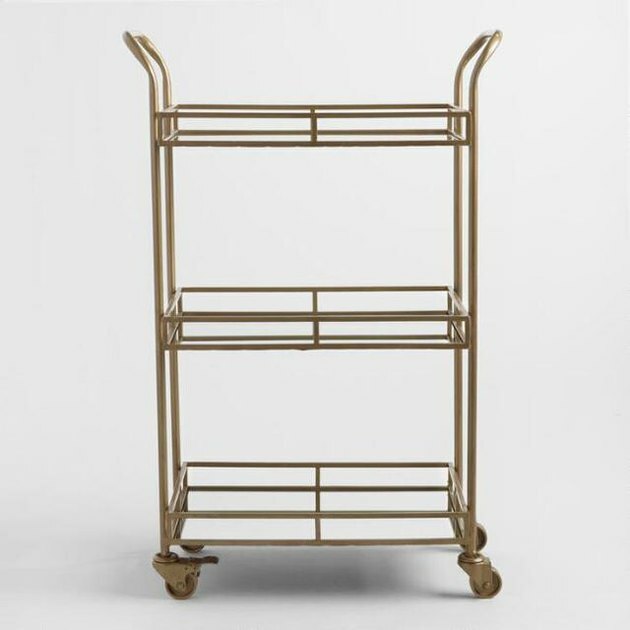 Swap your bar for a bar cart. Not only are bar carts a space-efficient (and portable!) way to organize libations, they also come in a variety of styles. Plus, they're versatile: Use them to serve your guests (and yourself) snacks and meals as well as drinks. 14. Save even more space with corner shelves. Use corner shelves to keep pictures and keepsakes on display, but out of the way.